This Is It! 2018’s Last Gallery Of Pomona Swap Meet Photos! Dec 30, 2018Chad ReynoldsBangShift Galleries, Car Shows, Swap MeetsComments Off on This Is It! 2018’s Last Gallery Of Pomona Swap Meet Photos! We’re done! There will be no more photos from the 2018 Pomona Swap Meet. This is our 10th and final gallery. 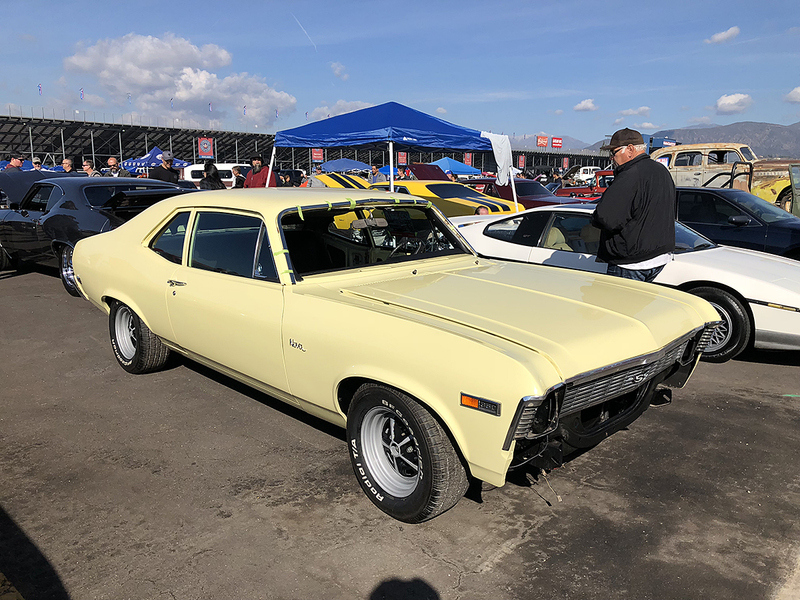 But don’t let that worry you, as there is so much to see, and we’ll be back with 2019 Pomona Swap Meet photos as soon as the first show is done. Never fear, your Pomona Swap Meet coverage is here. Parts, cars, beer, bbq and awesome people make this a great event and one that is amazingly huge for just one day. It is hard to believe that this many people converge on the LA County Fairgrounds to sell for less than 12 hours, but man it’s fun. We went out and walked the isles, bought a few small parts and some tools, drank beer with friends, and walked a ton of the car corral. Many of the cars on site were just there to show as opposed to being for sale, but there were some pretty cool deals to be had none the less. We had a hard time not trying to give some of our money away in order to gather up another project.